NON ACCEPTANCE OF ADMISSION OFFER ON CENTRAL ADMISSIONS PROCESSING SYSTEM. This is to inform all 2017/2018 year one students who are yet to accept their admissions on JAMB website to do so immediately. 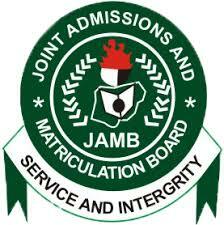 Available information from JAMB indicates that failure of candidates to accept their offer of admission from CAPS would make them lose the offer. All affected students are strongly advised to login to their profile, accept their admission offer and print their admission letters on or before 15th September 2018.